On Monday, October 8, 2018 my mother and grandmother left my house in Ponte Vedra Beach, FL to return home to prepare for a tropical storm that looked to be heading their way. My mother is the mayor of a small town, Lynn Haven, Florida, and needed to get home to prepare the town. Over the next two days, the storm continued to strengthen. When I woke up on Wednesday, the storm was strengthening from a category 3 to a 4 and perhaps a category 5. The building Hilary’s mother was in during the storm. Unfortunately, my hometown, was the direct target. I took a shower and cried. Then I knew I needed to call my family. I called my grandmother first. In my best attempt to be strong, I told her everything was going to be okay, and that I loved her. Next, I called my mom. I told her I loved her, but it looked really bad. She told me that regardless of what happens to know that she loved me and that we had no regrets. I started crying and told her as soon as I could get there I would be there with help. We made a list on the back of a napkin of things people would need. I said I love you again and we hung up. I would not hear from her again for over twelve hours. It wasn’t until several days later that I realized how close she came to not making it out the storm alive. As I started to think about how to help, I started with a simple post to my neighborhood Facebook page telling people if they would like to donate items to bring them to my house. This little post would snowball in ways I never imagined. A neighbor who survived Hurricane Katrina reached out to our community to send targeted emails to our neighbors, another neighbor offered a box truck to collect items, others gave monetary donations. For a few hours after the storm, people could post to Facebook. I knew that the Verizon towers were down. I knew most of the roads were not passable. The state closed the interstate because of downed trees. I knew there were a lot of people caught unprepared by how quickly it strengthened. We spent the first 24 hours filling a box truck with supplies, including AT&T phones, so that hopefully I could make contact with my family. All day long people dropped off boxes of supplies. One neighbor sent a Publix delivery full of diapers and baby items. As soon as the interstate opened my husband and two friends set off to deliver the supplies. 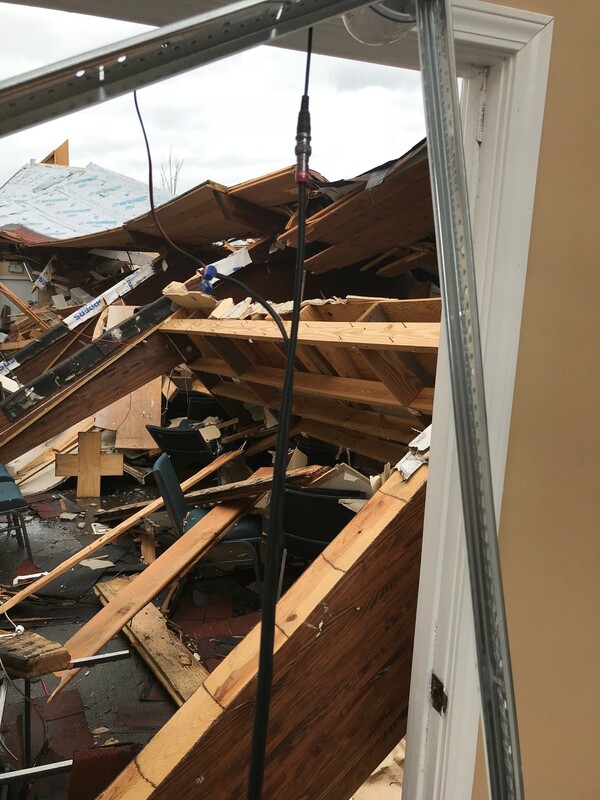 The 4 hour trip took close to 10, but when they arrived on Friday afternoon, they were the first contact the town had since the storm hit on Wednesday. The team called me and asked if I could fill another truck. I took to social media and made a plea for financial contributions. I woke up the next morning to over $4,000 in donations. 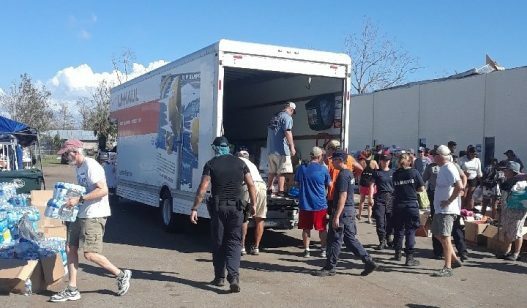 I met the next truck and we filled it with pallets of water, Gatorade, baby formula, food for the first responders, and gasoline and propane. That day a group of elementary school kids contacted me to do another drive so we set that in motion. Several of my friends handed out over 400 flyers, the television and radio stations rallied behind us. This continued almost everyday for the next two weeks. 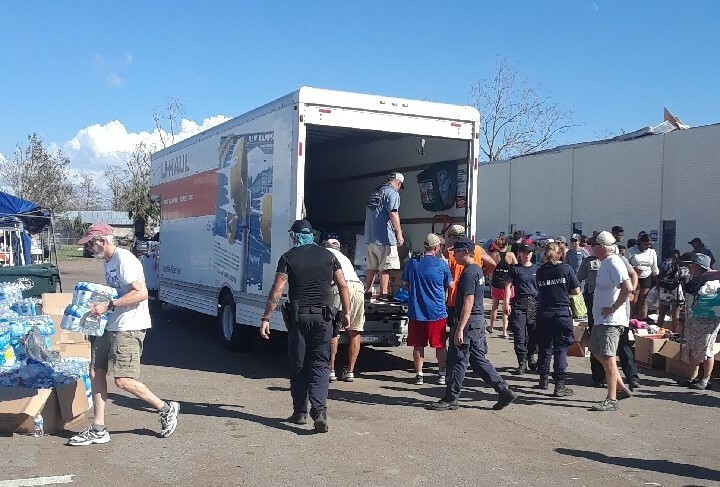 In all, we sent 7 trucks of supplies to Lynn Haven. The City began almost immediately working to clear the main park in town for Halloween so children would have a safe place to trick or treat. I had a vision of also hosting a Hometown Thanksgiving dinner there for the town. 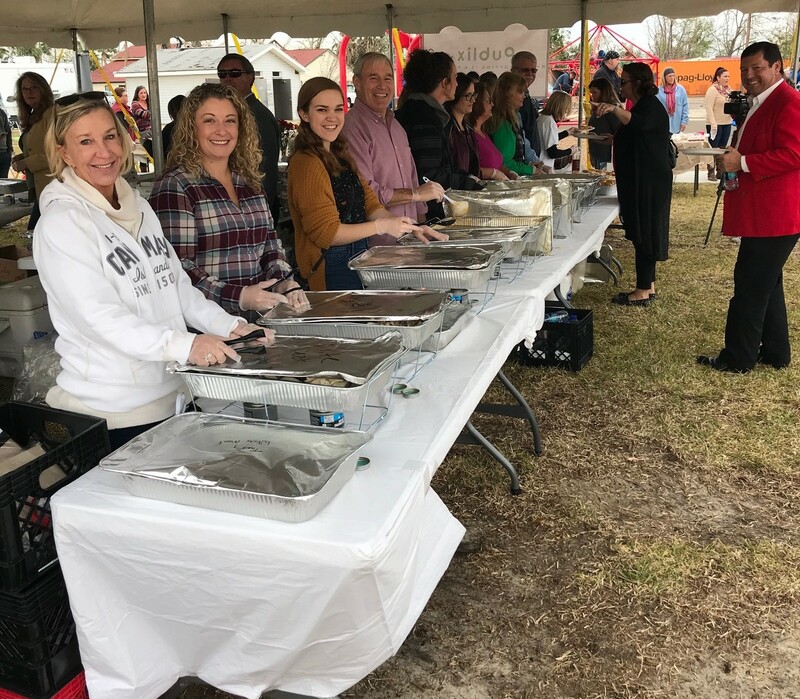 With the help of the Popeyes Foundation, Publix supermarket, Florida Blue and the St. Joe Community Foundation we served dinner to over 500 people on Thanksgiving Day. We are currently helping the city collect toys for children impacted by the storm. These are families that most likely would have never benefited from a charity toy drive, but waiting for insurance payments, federal assistance and unexpected out of pocket expenses are making the holidays a little more difficult this year. A large Florida law firm, Holland & Knight connected me and wanted to donate their time to help mom set up a trust fund, the City of Lynn Haven Hurricane Michael Relief Fund. The City is hopeful to be able to start granting money to residents before Christmas to help to alleviate some of the financial stress as well. When people ask why I am doing all of this… I usually say “it’s my mom, wouldn’t you do the same thing?” She has the weight of 8,000 families on her shoulders everyday. If this helps just a few, then it’s worth it. This is also my hometown. The school we prepared Thanksgiving dinner was the elementary school I went to more years ago than I would like to admit. The people I get to help are friends, they are family. I am a firm believer if you are willing to be God’s hands on earth he will move mountains to make sure you are successful. Thank you for all you have done, Hilary. I am from Panama City and have seen the devastation from Hurricane Michael. I had read about all your mom was doing for Lynn Haven and now to read about what you have done to help the people there is wonderful! Thank you for sharing your story!